HTC Sense App is back and in this short article, we’ll be guiding you on how to authenticate it. 5. Set Access Token and you have successfully authenticates HTC Sense. Hi – I have authenticated HTC Sense – the image to my link shows up perfectly when saving my post, but when it schedules across to Facebook the image doesn’t show up – just an empty block where the image should be. Please can you assist me. Hello Michelle, Kindly send us an email (support@pilotposter.com) with your username so we can look into it. Ever since the last 5.0v update, I can no longer update any of the fb accounts or to authenticate any app, it keeps saying “I’ve reached the maximum account allowed. I already connected 10 fb account before the last recent 5.0v update, but now none of them can be updated and authentication for apps are no more working for the whole accounts. Y háganos saber si enfrenta algún desafío. Don’t you think using only HTC Sense for posting links posts can risks to account ban by FB? HTC Sense App works just like the other apps. The most important thing is for you to post less with good interval. HTC Sense App works just like the other apps. The most important thing is for you to post less with a good interval. Hello, you need to authenticate one of the apps. Recommended are HTC Sense, Facebook for Android and iPhone. is pilot poster able to post a schedule post as a page you manage? Hello, this feature is not available yet. Thank you. Hello, what error do you encounter when trying to add? Good afternoon. Does the service work now? I can not connect the application, says that the link is not secure and there is no authorization. Should I look for a reason or service is not working now? I have successfully authenticated the HTC Sense app and was using it to autopost with a schedule to 100 groups. I tried the set up for the iPhoto, but it did not pop up as iPhoto on my computer, just authenticated it as Graph API Explorer. Anways, in posting as HTC Sense with scheduled post to 100 groups, it is posting to each group 4 times in a row the same post, 1 minute in between each post, before moving on to post to the next group. Please let me know what to do to fix this! Even if I have to post as API Graph Explorer or some other app, I don’t care, I just want it to post properly to the schedule. 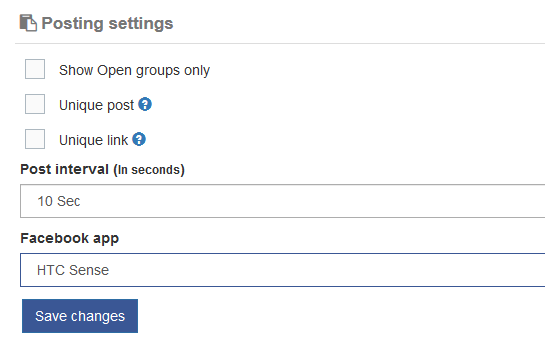 When I scheduled the post, I saved the post first, then I set the posts to 8 minute intervals for 30 groups, pause for 1 hour before re-posting to next 30 groups. Hello, the double posting to groups is a bug we’re currently looking into. Can you please send a screenshot to support@pilotposter.com. Thank you. Hello, you don’t need to create another account. 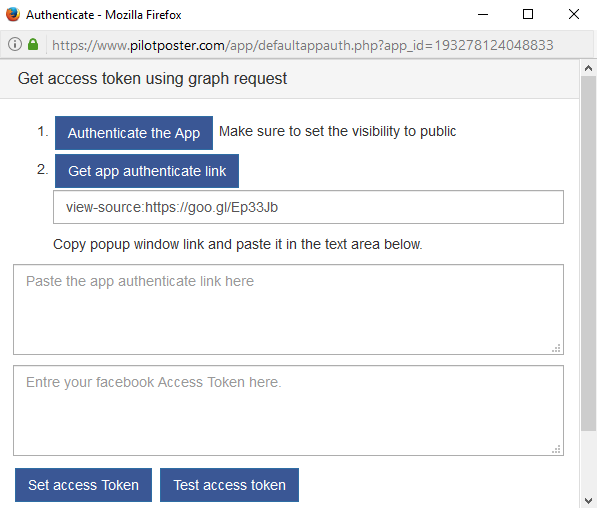 You can add multiple Facebook accounts to a single Pilotposter account, and schedule post simultaneously on all the Facebook accounts. Posting with Multiple Facebook accounts do not overlap. And they can run simultaneously without any problem, as long as each is withing the safe posting limit. Each Facebook account is treated separately regardless of the PilotPoster account it posts from. Posting with Multiple Facebook accounts do not overlap. And they can run simultaneously without any problem, as long as each is within the safe posting limit. Each Facebook account is treated separately regardless of the PilotPoster account it posts from. Hello, please use another browser or clear the cookies and cache of your current browser. Trying to get everything set up and I’m trying to authenticate HTC Sense. 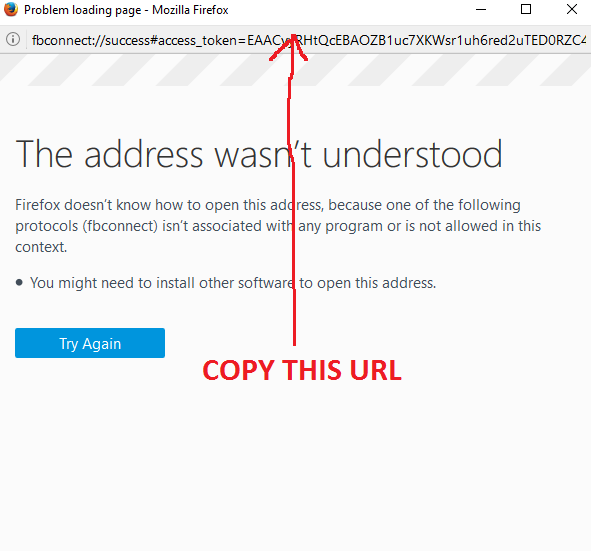 I went to Foxfire since I usually use Chrome and I get a message saying http://www.pilotposter.com uses an invalid security certificate. and the only way I can access your site is to override the security measures. That doesn’t instill confidence with your site. 1. You cannot authenticate HTC Sense using Chrome. The supported browser is Mozilla Firefox. 2. Our website’s security certificate seems to work just fine, sometimes it’s browser related. We’ll be glad if you can share the screenshot of the error with us at support@pilotposter.com. I restarted my computer and can now bring up the website through Firefox… will let you know if I have any problems. 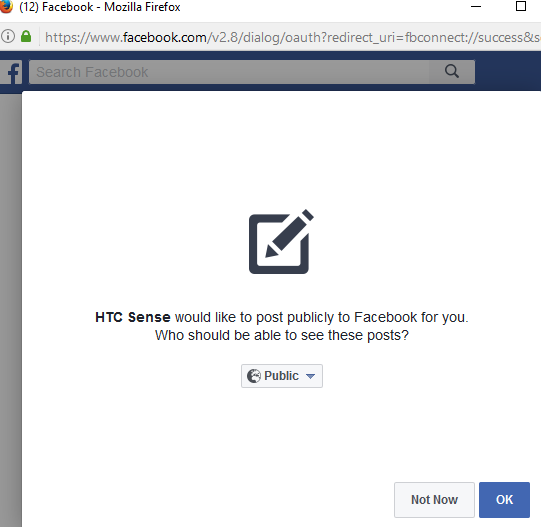 How can I authenticate the HTC Sense app to multiple facebook accounts? 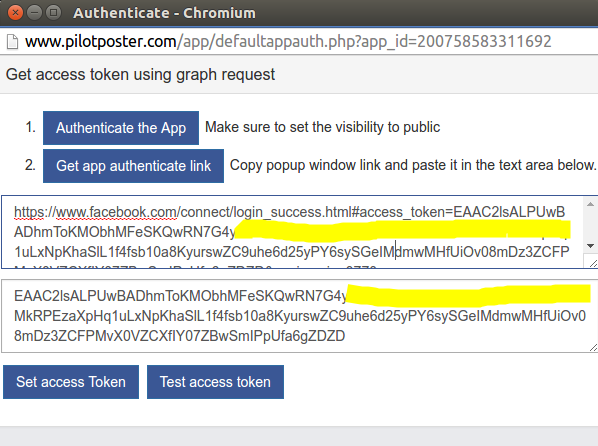 I’ve setup my default FB account, but my other two only seem to want to authenticate the Graph API Explorer app. Hello, you can authenticate HTC sense App for other accounts after switching to the account. We’re working to improve HTC Sense because Facebook is getting even more strict. And a better app will be added in days to come. awesome this is how i thought a poster should work, common sense, and simple. When I first tried to authenicate, I used Chrome but it wouldn’t authenicate. Now when I try through Firefox it says the app has been authenicated instead of asking me to change the privacy setting. But the icon in Pilot Poster still won’t change to show I have authenicated. How do I get it to reset so I can authenicate it correctly through Firefox? This was helpful.Thanks so much. What is the advantage in using this app, or any other rather than each other app? I thought spotify’s token doesn’t expire, but I have problems with some accounts stop posting due invalid token access. When I see their settings, spotify was not authenticate anymore. So, may I keep more than one account working concurrently ? HTC Sense has a token that doesn’t expire and it can post to CLOSED Groups. While spotify app can’t post to CLOSED groups.